Prenatal DNA testing (or prenatal paternity testing) is a method of identifying whether a man is a baby’s biological father before the baby is born. A baby inherits DNA from both of its parents. Prenatal paternity tests can identify if a man is the father of a baby by looking at three samples: the man’s DNA, the pregnant woman’s DNA and the unborn baby’s DNA. 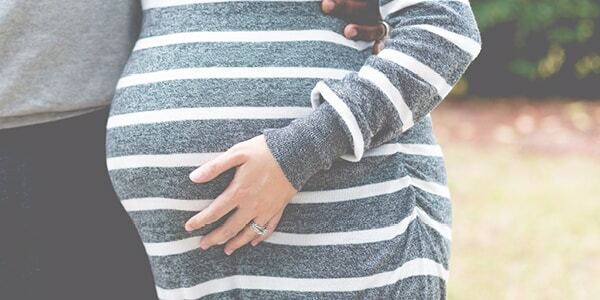 In the past, invasive procedures (such as amniocentesis and chorionic villus sampling) would have been required to gain a sample of an unborn baby’s DNA. These invasive methods incur a slight risk of miscarriage and can thus potentially harm the unborn child. Our prenatal DNA test does not carry such risks. It is a non-invasive method that can accurately determine paternity of a baby before birth using blood and mouth swab samples only. The test works by analysing the baby’s DNA that is found within the mother’s bloodstream, known as foetal circulating cell-free DNA (ccfDNA). The test can be performed as early as 6 weeks after conception (or 8 weeks after the last period). A simple blood sample is all that is needed from the mother. The test is 100% safe for the unborn child with no side effects and no risk of miscarriage. The alleged father’s sample involves just a mouth swab to collect DNA from his cheek cells. Using state-of-the-art equipment, the baby’s DNA is separated from the mother’s DNA in the blood sample using single nucleotide polymorphism (SNP) microarray technology. DNA from the father’s sample is extracted from the swabs. By examining the baby’s DNA together with the parents, it is possible to identify which half of the DNA is inherited from the mother and which half is from the father. If the tested man is indeed the biological father of the baby, both will share DNA. When the tested man is not the biological father there will be differences in the DNA of the man and the baby. We provide at least 99.9% probability of paternity where the father is confirmed as being the biological father. Confidentiality is maintained throughout the process. Results are available within 7 days for £875 or a faster 4-day service is also available for an additional £200 fee. More information can be found in a longer article on our Learning Centre. Order your prenatal DNA test here or by contacting our Customer Services team on 0333 600 1300 or emailing us at info@alphabiolabs.com.